If you thought smartphones couldn’t get any smarter, they soon will! The Consumer Electronics Show (CES) in Las Vegas this month unveiled a wealth of upgrades, new features and advanced technology to satisfy the keenest of tech-savvy geeks. 2019 is going to be a game-changer for mobile phone technology. 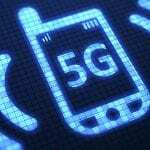 5G will transform the speed of connection to the internet and enable the downloading of huge amounts of data. We’ll see the first generation of 5G-ready phones; the use of in-display fingerprint sensors superseding passwords; QualComm’s Snapdragon 855 processor will enable access to 5G and optimise performance; and battery life will improve. In terms of appearance, phones look set to become narrower and taller; bezels will shrink or disappear to create more display area; and foldable phones will become commonplace. As AI proliferates, phones will become smarter. The screen ‘notch’ looks to be superseded by a punch-hole style Infinity-O display; and phones will have multiple cameras with greatly enhanced performance. We’ll take a look at some of the most interesting smartphones soon to hit the shops. For sheer inventiveness, the foldable FlexPai by Royole, takes some beating. 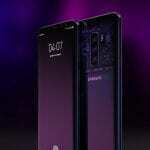 Already on sale in China though not yet in the USA, the company has narrowly beaten Samsung, which tested its Galaxy F prototype in the market last year. Unfolded, the FlexPai reveals a 7.8”, tablet-sized display, said by Royole to be “virtually unbreakable”. The smartphone runs Water OS, based on Android 9.0, and a developer model is available for a whopping £1,025. Samsung’s Galaxy F is set for release in the first half of the year, while the Galaxy S10 will launch in February and feature Infinity-O display, fingerprint sensor, two cameras at the front, and three, or possibly four, at the rear. It will also offer faster charging (up to 27w) and storage of up to 512GB. The S10E, S10 standard and S10+ with screens ranging from 5.8” to 6.4”, will be followed later in the year by a 5G variant. Motorola’s Moto Z3, out now, will be able to connect to 5G, using a modular accessory, and become the 5G Moto Mod, expected to launch in a few months. The module will snap onto the back of the phone and contain the Snapdragon X50 5G modem and dedicated antennae to access Verizon and AT&T’s ultra-wideband network. The 6” Moto Z3 features the latest high-definition technology. LG presented its newest V series smartphone, the V40 ThinQ, the first phone to feature five cameras, three at the rear and two at the front to produce enhanced photos and a broader range of options – enabling users to capture three photos simultaneously – standard, telephoto zoom and super wide-angle. The phone features a 6.4” display with QHD – quad high definition – four times the definition of standard HD; improved audio from a bass-heavy Boombox Speaker; and built-in Google Assistant. LG is working with Sprint to produce its first 5G phone this year. Huawei’s premium Mate 20 Pro comes with a three-camera system at the rear. The Leica cameras consist of a 40-megapixel wide-angle, a 20-megapixel ultra-wide angle and an 8-megapixel telephoto. The Mate 20 Pro features a 6.4” curved OLED display, an eight-core Kirin 980 processor and 6GB of memory. Honor’s latest phone, the View 20, features a punch-hole design to house the front-facing camera and a 6.4” display. With a Kirin 980 processor and a more powerful battery, you can expect strong performance and long battery life. The two rear cameras include a 3D camera that can judge volume and distance to optimise portrait effects among other AI- generated features. Nokia’s 9 PureView, despite featuring last year’s Snapdragon 845, is expected to have a Zeiss five-lens rear camera which will capture 10 times the normal amount of light, refocus the images and adjust the depth of field after a shot is taken. The phone will feature a 5.9” QHD screen, in-display fingerprint sensor, together with waterproofing and wireless charging. The Sony Xperia XZ4 will be very similar to the XZ3 although with a flatter screen. It is expected to be notch-less and taller and narrower, have two, possibly three, cameras at the rear, and run the Snapdragon 855 processor. So there you have it. 2019 will usher in a brave new world of instantaneous downloading of films and complex computer games. And speeds – 10—20 times faster than 4G – you could only have dreamed of, so no more latency or buffering. As 5G will also be much more responsive, you’ll enjoy better quality video calls. What’s not to like? 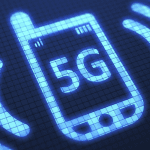 ← When is 5G coming?